Every year, most of us take the resolution of traveling even more than usual and cover the places we have been keeping in our travel bucket list for a very long time. However, there are a lot of other people who make their travel bucket list annually and try to cover all the places mentioned in that list to make the year more memorable. Since 2018 has begun already and we have covered nearly one-fourth of it without any special journey, here are the places that you can add in your travel bucket list for 2018 and make this year a magnificent one by adding new and outstanding experiences in your life. So, check out our list of places to visit in 2018 and try to visit as many as you can to witness the fantastic diversity of the world in this year. Nestled on the foothills of Himalayan mountain range, Bhutan is among the most promising places in the entire Asian continent that is majorly based on the traditional culture and Buddhist lifestyle. A remote country neighboring the India, Nepal, Burma and Bangladesh, Bhutan has plenty of things to offer. From pristine valleys to Buddhist monasteries, fabulous mountains, charming water bodies and more, this place will give you a perfect and refreshing getaway experience. The small commune of the France, prominently known for its vineyards and exquisite settings, Cognac is a splendid place to understand the traditional culture of the French region whilst exploring the remarkable heritage and awe-inspiring lifestyle that is connected with the roots since the beginning. Not so famous among travelers, this place can give you a spectacular off-beat getaway experience in the European continent. Mexican region is widely famous for its modern lifestyle and upbeat culture, but there are certainly a few places that are serving even greater pleasures. La Paz is known to be among the most promising resort cities in the Baja California region and can be a perfect fit for tourists seeking some beach escape with the near and dear ones. Along with warm waters that are perfect for whales to breed, La Paz has many more attributes that will surely be perfect for a splendid getaway experience. Australia has plenty of picturesque cities, but if you are looking for place that can give you more pleasure with less crowd, go for the Adelaide. The sprawling city nestled on the incredible shoes of the Southern Australia, Adelaide is the home to many superlative features of the country. From wide range of flora and fauna to thriving culture and extravagant lifestyle, everything in Adelaide is just perfect. The capital of Estonia is not so famous among travelers flying their way to the Europe, which makes it a deserving place to explore as a traveler. The rich history treasured in the Gothic architecture and medieval alleys are the most promising things you will find in here. Additionally, the laid-back culture that complements the weather conditions here will be the most wonderful delight for you to enjoy. When we speak of Poland, most of the people think of the capital Warsaw and often overlook the beautiful and historically rich city of Krakow. The medieval quarters that can relate with the picturesque architecture of Czech Republic, Krakow has many awe-inspiring attractions to offer. Additionally, with its wide range of scenic attractions wrapped by modern landmarks, you can have the most spectacular getaway experience with your near and dear ones. Nestled perfectly on the River Avon, Bristol is among the most underrated British cities and if you have been to the England many times before and haven’t visited this beautiful city, then you must give Bristol a shot. The maritime history wrapped by the refreshing landscapes and spectacular cityscape, this place is a seamless combination of nature, culture and modern lifestyle. Additionally, the variety of galleries and museums will keep you entertained throughout your journey. Many people find China as a place that is either flooded by the population or have places with temples and monasteries. However, if you want to escape that perception, you must plan your visit to the Hunan province. The region is prominently known for being the home of Zhangjiajie which is a marvelous canyon of sandstone peaks carved by the Mother Nature. Additionally, the amazing and surreal variety of natural landscapes here will expose the bizarre yet beautiful artistry of the nature spilled around the globe. When thinking of traveling to the Middle-East region, all people can think of is about either Dubai or the Abu Dhabi, but there is certainly much more treasured under the cloak of the rugged mountains and wide deserts. Ras Al-Khaimah is among the most promising and opulent resort towns in the Emirates that you must visit at least once. With its proximity from the Dubai, this place has recently become a major tourist spot. So, if you need a beach escape, Ras Al-Khaimah will be a great option for you. For those who want to start on domestic level or try to avoid any long-haul flight, can begin their share of exploration from the tempting conurbation of Anchorage. The bewitching city of the State of Alaska, Anchorage is widely famous for its snowy terrains and majorly visited by the adventure seekers. However, in recent years, the city has become even more delightful for other sort of travel interests and have plenty of attributes to share with its guests visiting Alaska for the first time. If you love to travel, then finding new places every now and then will surely give you the most pleasant experience of your life. 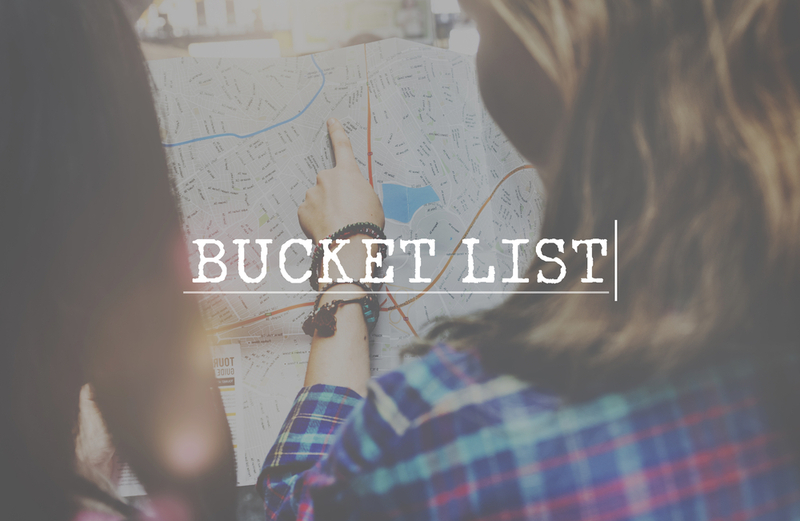 And there is any way better than preparing yourself a travel bucket list for some spectacular getaway experiences whilst looking forward to some new adventures that can make your life even more thriving. So, this year, travel the world and explore the places that are noted to be among the finest and have the best time of your life by following the places mentioned above. You can also consider the services of Travelation to get your tickets booked as we are proudly offering the most mind-blowing range of worldwide flight deals that cover the most promising and picturesque places you may ever wanted to visit.